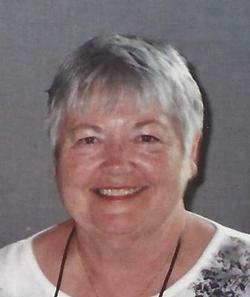 Sharon A. Elliott, 77, of New London, died Monday, February 4, 2019 at GlenOaks Care Center in New London. Mass of Christian Burial will be 11:00 a.m. Monday, February 11, 2019 at Our Lady of the Lakes Catholic Church in Spicer. Visitation will be from 3-5 p.m. Sunday at the Johnson Funeral Home in New London and for one hour prior to the service at church. Burial will be in Spicer City Cemetery. Sharon Ann Elliott was born February 15, 1941, in Green Isle, Minnesota, the daughter of James and Leona (Krueger) Davitt. She attended New London High School, graduating in 1959. She went on to receive her nurses training in Willmar and graduated in 1960. On November 26, 1960, Sharon was united in marriage to DuWayne Elliott at St Mary’s Catholic Church in Willmar. This union was blessed with three sons. They made their home in Inver Grove Heights where she worked as a nurse. They retired in 1998, and moved to New London and wintered in Arizona. Sharon was a member of Our Lady of the Lakes Catholic Church. She enjoyed cooking, music, watching tv and taking care of her family. Sharon was preceded in death by her parents, son, Anthony; and sister, Sally.